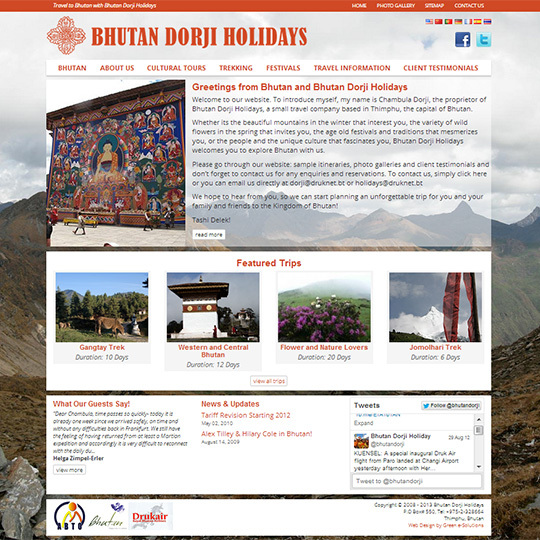 Bhutan Dorji Holidays had asked us to redesign their aging website. For the new design, we had come up with a clean and simple responsive design. The new design enables Bhutan Dorji Holidays to make their content easily accessible to visitors and also display their featured trips and tours. WordPress remains as the content management system, with the design turned into a custom theme and few other custom plugins developed for the site.